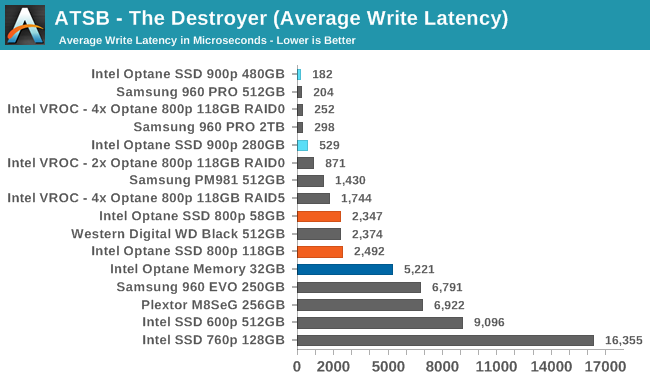 The moment pseudo-SLC in TLC showed up, Optane was pretty much dead in the SSD market. They would presumably compete with SLC (does anybody still make it? ), but TLC is the coffin nail in consumer markets. 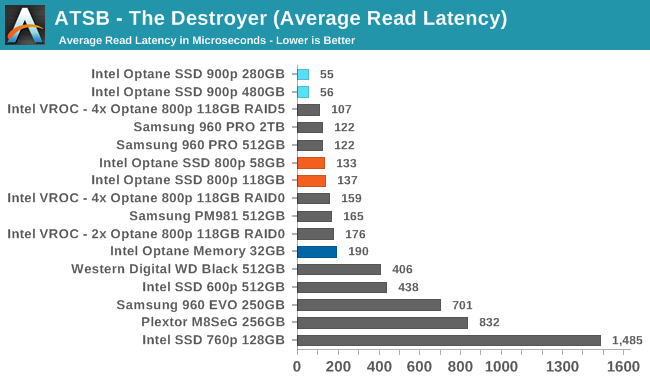 From the moment the 3d-xpoint hypetrane started, it was clear that it would try to wedge itself into the memory hierarchy, presumably between flash and DRAM, and hopes for replacing flash. Flash isn't going anywhere, and 3d-xpoint hasn't shown the endurance needed for a fast-paging DRAM replacement. 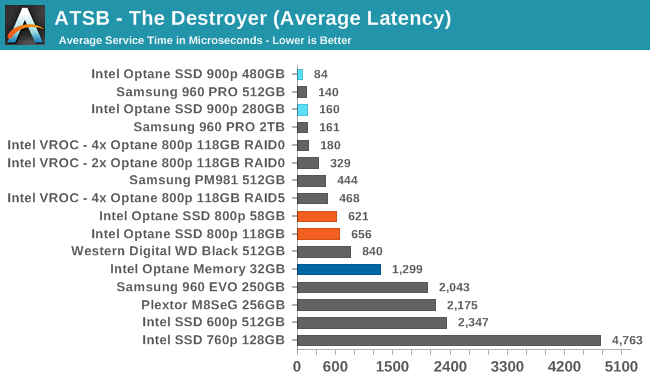 It certainly wouldn't replace *all* DRAM, but anyone who's seen a 4GB machine actually function (slow, but they do work) knows that nearly all that expensive (hopefully DDR4 will fall back to Earth) DRAM could be replaced by something sufficiently fast, but neither flash nor 3d-xpoint is quite there. Consumer NAND launched in an environment where it had SOME spaces where it was optimal, and so had the chance to grow. It started in phones and DAPs, then grew to ultra-laptops, and finally the desktop. Point is --- there were niches that could pay for on-going improvement. I am all for super fast QD1 results. But so far none of the application seems to benefits from it. At least not according to test results. I am wonder, we are either testing it wrong, looking at the wrong thing, or the benefits of QD1 is over thought and bottleneck is somewhere else. Exactly. It is hilarious how them fanboys keep claiming that we overlook the advantages, when I explicitly state them almost every time. There are very little and far in between workloads where those advantages can translate into tangible improvement of real world performance. When your bottleneck is a human being interacting via input devices, discrete savings of several dozens of microseconds are simply not perceivable. Probably has something to do with your name calling and “it keeps getting worse and worse” when that objectively isn’t true. You come off as having an axe to grind. It is not true that this is worse and worse. 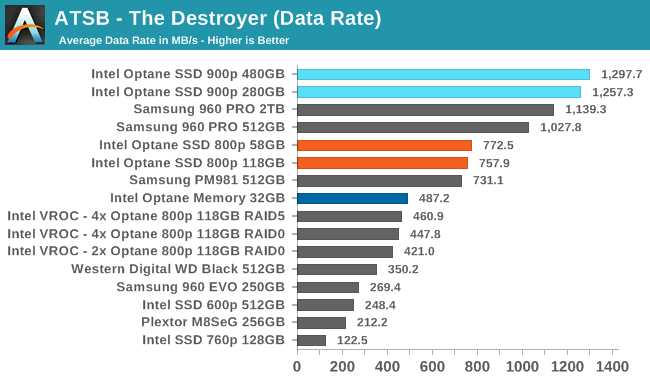 The power improvements shown here are quite impressive. 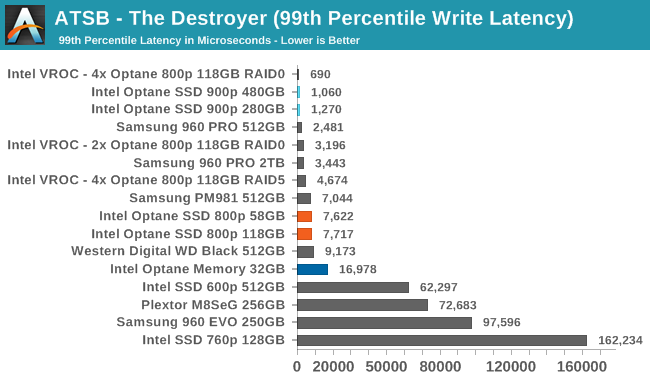 Low QD performance is still better than NAND by an order of magnitude, and looks to have gotten a roughly 20% improvement. 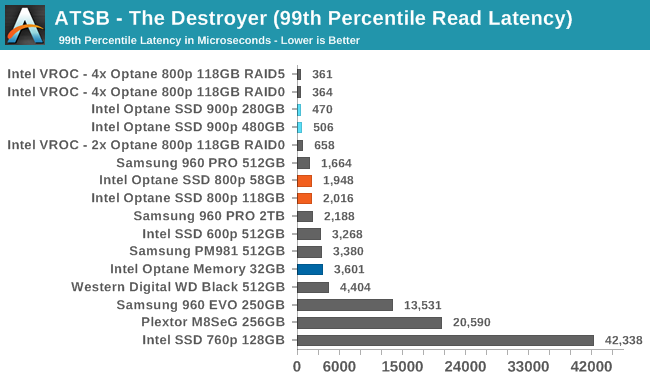 Sequential read now even beats NAND. "when that objectively isn’t true"
It absolutely is. 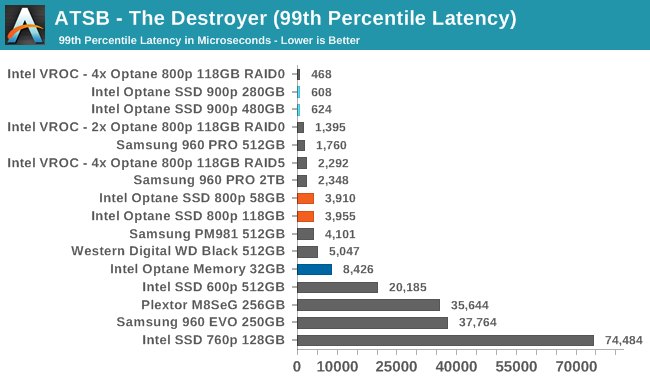 It is slower than the 900p. They improved power a bit - big whoop, especially considering it came at the cost of gutting the interface by 50%. Nobody denies the strong points, it is just that they are way too little to make this a good product. Instead of getting bigger and faster it gets smaller and slower. And somehow the price per GB increases. If you want to go down that road, at current consumer SSD speeds (say Samsung 960 Pro), I doubt any normal user would even notice if the performance suddenly doubled (or halfed, for that matter).